Your company is more thanproducts, people & profits. We’ll find the buyer that recognizes its true value. 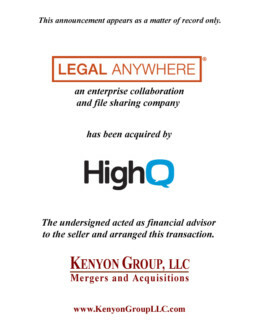 The Kenyon Group specializes in representing mid-market companies offering services that touch the legal industry, legal technology, and cyber security and compliance. We know your markets, your potential, and how to find your right buyer. 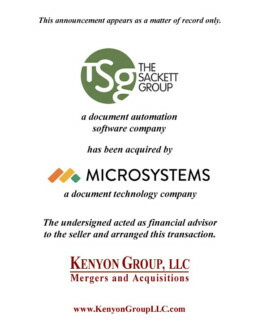 We look forward to working with you to uncover the unique value in your company and shine a light on it for the right buyer to see. 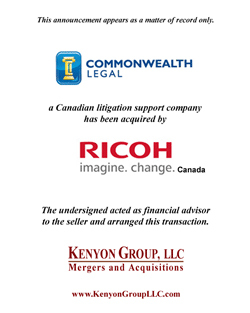 Many factors determine the outcome of a sale. We take the time up front to thoroughly understand your company and clarify your goals. Only then do we discuss potential buyers and valuation expectations. Next, we prepare marketing materials and find your ideal buyers. 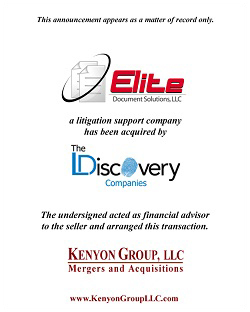 And our involvement continues beyond the sale: however long you need us, we're there. 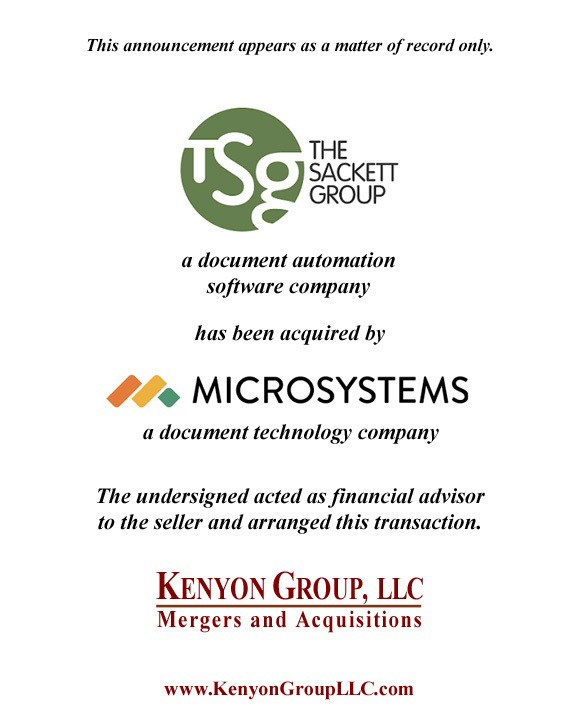 It goes without saying that Kenyon Group’s experience representing legal technology companies is unmatched. Their track record speaks for itself. What I really appreciated is Ted’s unyielding persistence to work with me to find the ideal transaction. 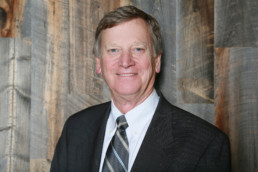 It was a pleasure to work with him as he took a personal interest in achieving my goals. 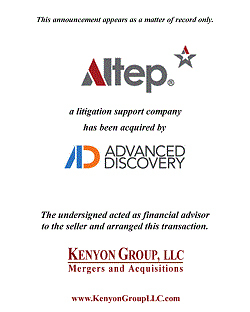 Although we were an early stage company, Kenyon was able to achieve value beyond our years. 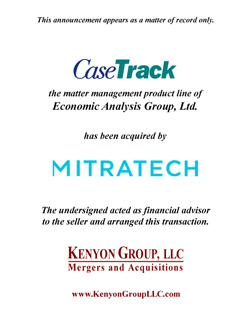 They especially knew how to articulate the value of our technology assets and our experience in the litigation support market. They are real pros. 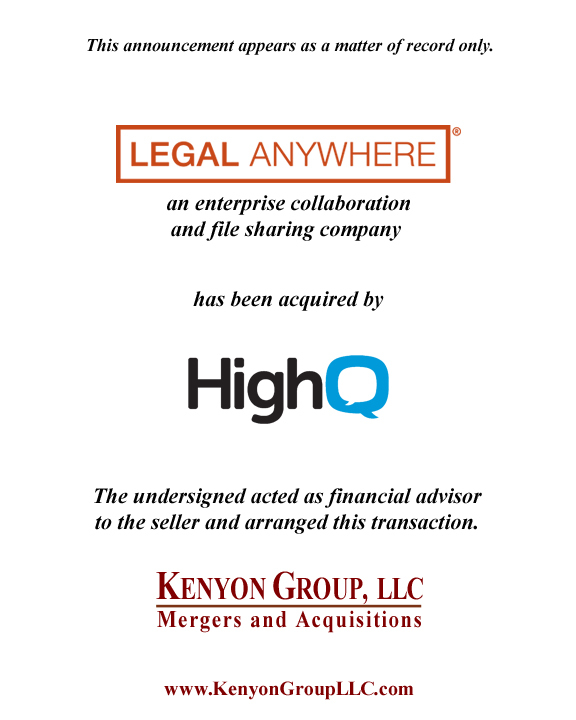 If you are planning to sell your legal technology company, Kenyon is the only firm to hire. They know this industry, the buyers, and the best way to present your company for maximum results. They were a pleasure to work with, and they worked tirelessly on our behalf. We could not be happier with the results and whole-heartedly recommend them. If you would like to explore the future, give us a call or shoot us an email.